Proporta has only been around for a couple months (created after a merge of PalmTech and Scribble) but are already making a slash in the PDA case market with their aluminum cases for various PDA's. After releasing various Palm OS device cases, Proporta has finally begun shipping their first Pocket PC aluminum case. The case fits all 3000 series iPAQ devices and provides added protection over the included iPAQ case. 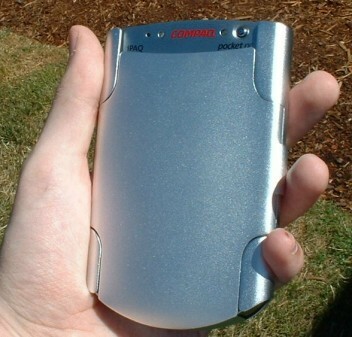 Modeled after the Compaq plastic sleeve/cover introduced with the 3800 series iPAQ's, the Proporta iPAQ Aluminum Case provides added production at an incredibly reasonable price. The design of this case leaves openings where they are needed, and protection everywhere else. The first thing that is most notable about the cases design is that the top portion of the device is left uncovered. The case design works well with the iPAQ design to feature the two LED lights are used for various notification functions by the Pocket PC operating system. Even more benefits are incurred when this case is used with a 3800 or 3900 series iPAQ because of the placement of the speaker at the top of the device. The case fits onto the iPAQ just the way it should, like a glove. There are two things you really do not want in a case, the first being the case fitting to loosely. 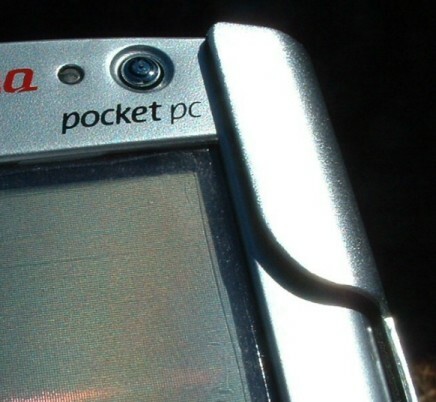 Proporta added a lining inside the case for added grip between the aluminum case and the shell of the iPAQ. The second thing you do not want is a lack of accessibility to your device. This case does not impede accessibility as almost every port is left available and all buttons can be easily accessed (after opening the front). Only the expansion sleeve port, the front buttons and joy pad are covered. 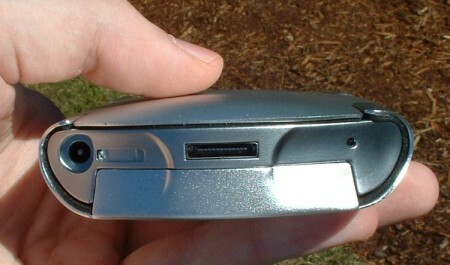 Proporta has also accounted for the recorder button on the side and has allowed access to it without the case being open. Why is this important? The Pocket PC recoding software is one program you do not need to see the screen for to use. Since the microphone is on the top of the iPAQ, can you see how the design of this case can really work to your advantage? 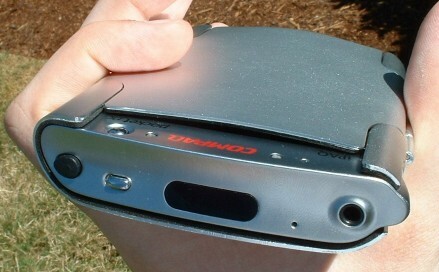 Someone noted on a message board that they were not fond of a case like this because it does not allow for expansion sleeves to be used with the iPAQ. 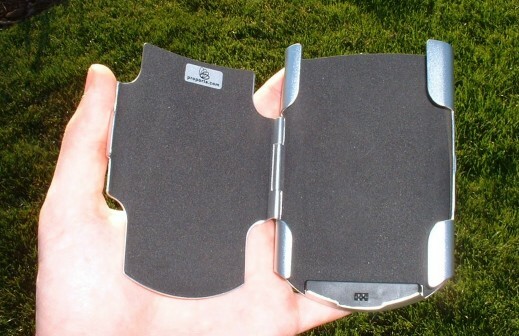 Though it does not, I see this case as a product to just protect my iPAQ in day to day uses. I do not use my expansion sleeves everyday and I do not bring them with my when I go somewhere because I have little need for them in day to day tasks. What makes this case great as opposed to something like the included iPAQ case is that you do not have to take it out of the protection to be used. Just pop open the cover, add the contact, make a note, play a game, close the over, put it back in your pocket. Though really I like this case, there are two negative aspects that I found based on how I use my device. First of all, after fitting my device in the case it took me a little while to figure out how to easily get it out. The reason it is difficult to get out is because the case is not only molded to be only a hair bigger then the device, but it also has the padding and latch on the expansion connector to hold it in place. I would never worry about the product slipping out of this case, which is good, though it is sometimes a little tricky to get the iPAQ out. The best way I have found to get it out is to only the case in one hand and push with one finger on the power adapter plug-in and another finger over the soft reset button (3600 iPAQ). Another drawback is that though the sync port is not covered by the case, you cannot fit it in the sync cradle. If you have a USB Sync cable this is not a problem, but I would like to be able to plug in my device to sync while it is in the case. I have little fear of my device being damaged when using this case. Since I have received it, this case has been on my iPAQ for daily use just about everywhere. The powerful design of this product has given my rather "out of date" 3640 iPAQ a new style. Even better then that, the added style and protection benefits will only set you back $39 US (?25.49 in the UK). This case is really an inventive design from a company that seems not only aware of what a case needs to do, but also how case can actually fit correctly with your device to increase productivity.